To some of us, the past six months may have flown by in seemingly no time, with cool February weather feeling like it was just yesterday. 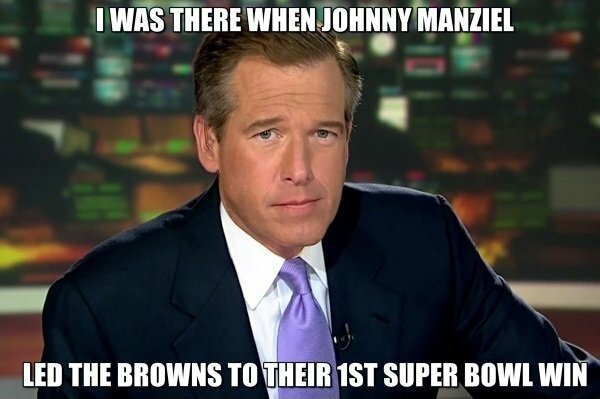 But for former NBC Nightly News anchor Brian Williams, I’m sure it has felt like an absolute eternity. Williams has been suspended since before Valentine’s Day, but that temporary punishment is now officially over, and the somewhat disgraced journalist is allowed to come back to television, which may be happening sooner than we expected. Many thought that Williams’ on-air indiscretions would have led to him getting fired by NBC and possibly sidelining his career for years to come, but the network announced some months back that they were keeping him around, though he would be demoted to a gig on the not-as-prominent MSNBC as a breaking news anchor. According to CNN, he’ll take on that new role at some point in mid-September, though an exact date hasn’t been worked out just yet. There are many other details surrounding his return that are unclear at this point, but we’ll almost definitely be hearing more about it in the coming weeks. Having to wait another month to get back on the air is probably going to be rough for Williams, who is presumably chomping at the bit to get his name back to respectable levels again in audiences’ minds. It’s somewhat surprising that he’s only getting a month post-suspension to get ready for his new gig, but I guess reporting breaking news isn’t exactly a huge change that he needs lots of training for. He won’t, after all, be directly involved with any of the things he’ll be reporting on, and I’m sure he’ll be fine with not talking about himself or his past for a while. Williams’ former job behind the NBC Nightly News desk has been permanently given to Lester Holt, a decision NBC made as their interrogation into the once-respected anchor’s claims over the years drew out several more discrepancies than the lie that started it all: an oft-shared story about him being in a helicopter shot down by an RPG in the Iraq War. It was a tale that Williams publically apologized for on Today in June, and one that will probably haunt him for the rest of his professional life. And since football season is starting up, there’s no better time to share the below image. Stay tuned for more information on when we can expect to see Brian Williams back to reporting the news on MSNBC.